If you've not read any Elin Hilderbrand books yet, get yourself to the nearest Barnes & Noble (or let's be real, just click over to Amazon) and buy a couple! I have read all 15 of her novels in the past six weeks(!! ), if that tells you anything. I started with Silver Girl and loved it so much I worked my way through the rest of her books. I would classify these as easy beach reads, but not in the traditional sense. I typically steer clear of beach reads because the plots are too predictable and the writing is usually sub-par. These books, however, are enjoyable and don't require any thinking, but the writing is spot-on and the story lines are involved. Each of the books tells the story from several of the characters' point of view, and I believe in most of the books at least one of the characters is remembering/reliving the past; both of these things add depth and layers into the story, which I love. All of the stories take place on Nantucket, a spot that is now on my to-visit-before-I-die list. 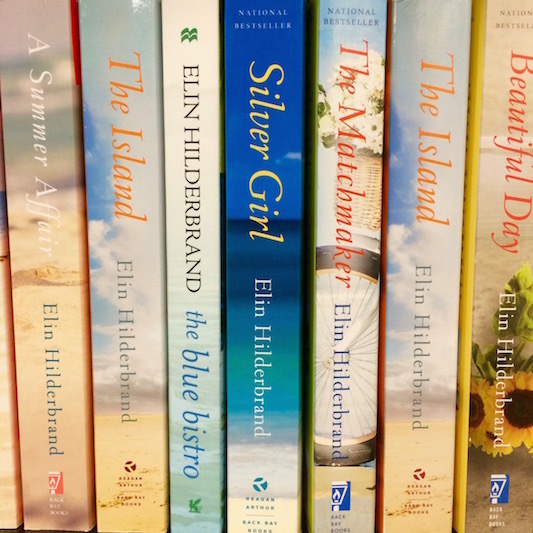 If you're looking for a book to take on your last summer hurrah or just need something new to read, Silver Girl, The Matchmaker, The Rumor, and The Castaways were my favorites.